I decided that given the decrease in the number of R2 DVDs/BDs I’ve been getting recently as well as to try something new I would start a new section called the “Item of the Month”. The concept is that each month I’ll highlight one item (or a set in the case of say a DVD box set or things of that nature) from my collection. This could be something recent or from the way back machine and could include VHS, DVD, BD, and LD, as well as manga and other print items. 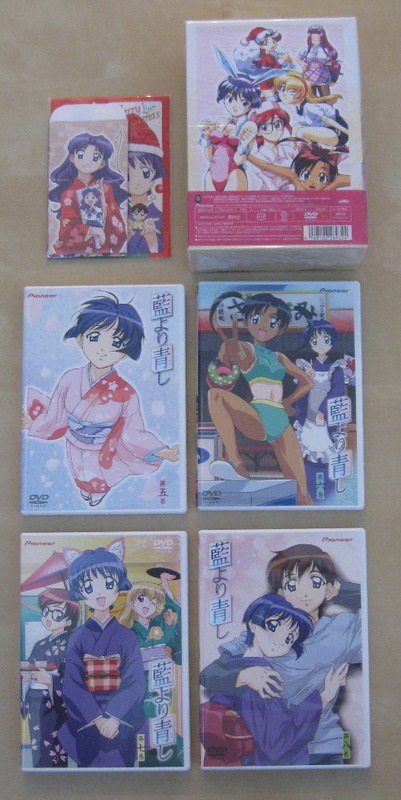 I will start things off with this set of Japanese region 2 DVDs of the 2002-2003 series ‘Ai Yori Aoshi’ and the second series/season ‘Ai Yori Aoshi ~Enishi~’ both based off the manga by Kou Fumizuki. 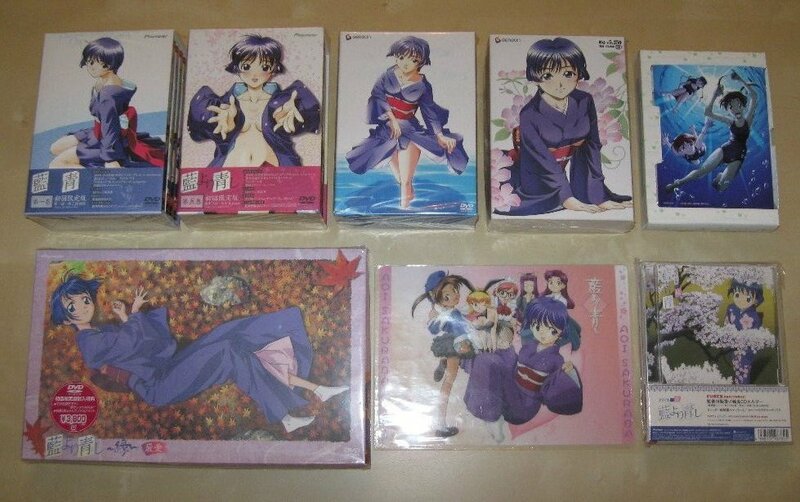 I found these on eBay a while back. The seller was looking to unload them and set the starting price fairly low. Not only that but most if not all of the first press items are included. In this group shot of the whole set you’ll see a pencil board and soundtrack that were also included in the set. 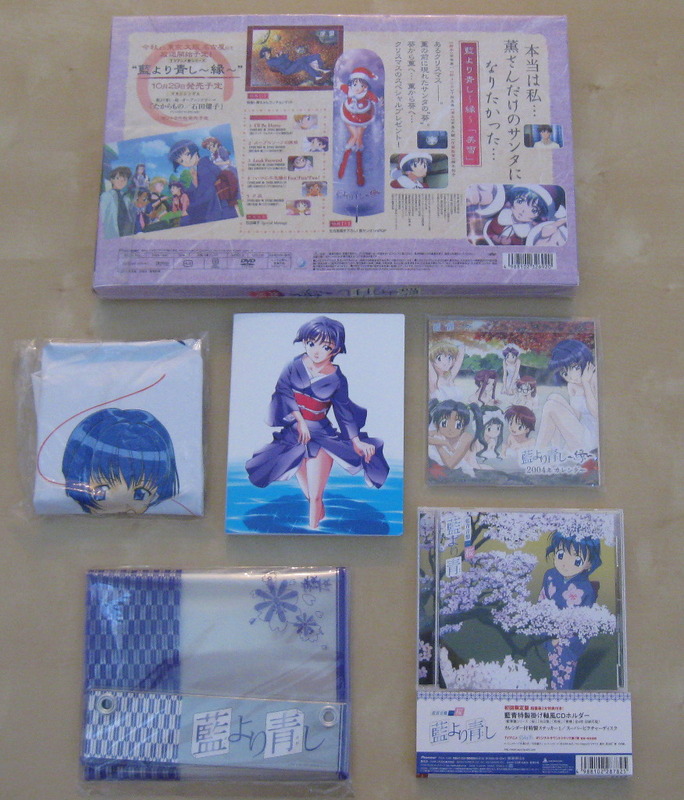 This bonus box includes some nice items including some kind of inflatable standee. The first series, ‘Ai Yori Aoshi’, is broken up into two box sets with four discs each seen here and here. 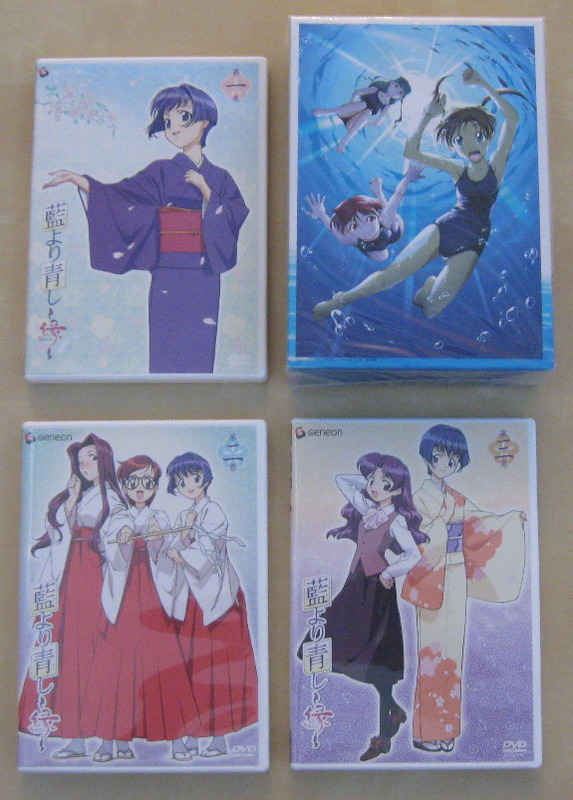 The sequel or second season, ‘Ai Yori Aoshi ~Enishi~’, is also broken up into two box sets but with 3 discs in each set (due to the lower episode count for the series) and can be seen here and here. While I already have the Region 1 release by Geneon from back in the mid-2000’s I found this a great addition to the collection as there is a lot of great art as well as a number of cool bonus items throughout. Not to mention it was sold for the nice price. 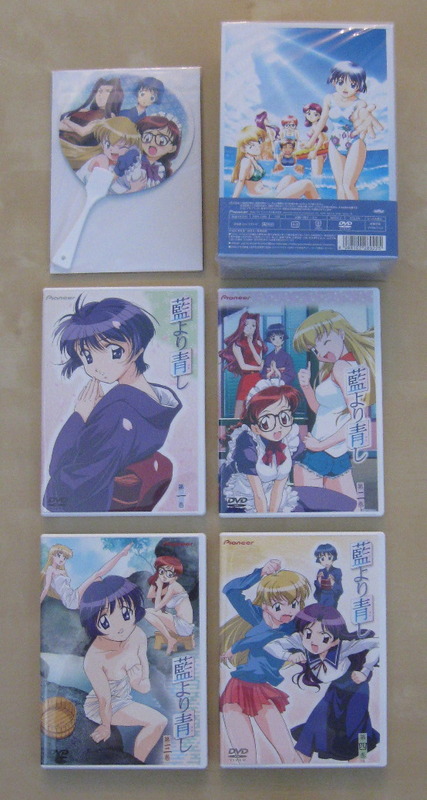 Together with the complete TokyoPop manga series, the additional soundtrack CDs and the Paul Champagne custom DVD case for the R1 DVDs this completes an ultimate ‘Ai Yori Aoshi’ collection.